Actually, yeah, it was alright I guess. 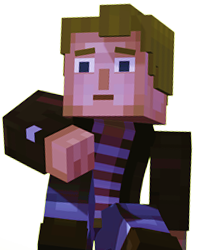 More seriously, i don't think anyone in the Minecraft story mode community is exited about Telltale bringing MCSM to Netflix streaming service. Tbh i wouldn't even surprised or mad if this thread appears in MCSM Forum. I know some of you feels that MCSM is too special. They've got 10 Episode (5 each season) and 3 additional episode for Season 1, and now they'll get the Netflix Adaptation of it. 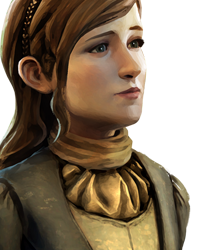 I know how it feels to have one unfinished, long waiting series, but instead they're doing another series that some of you might feels that it doesn't important, or even, didn't deserve the place in Telltale. But, let me remind you, starting war between two mega fanbase wouldn't fix anything. MCSM deserve the place too, like any other series. Although... ok, MCSM is too special. But, don't forget what's special from other series. TWD have a lot memorable character, they also have four season (which is, 19 Episodes, 5 each season except TWD FS, which only have 4 Episode, with no confirmation yet about episode 3 and 4) + additional stories (400 Days), and TFS still got Episode 2 today. What do you think MCSM have? MCSM ended up with having only 2 season, with no details about what happen to Jesse and the gang, redemption of the old villains, etc. And, if you think that MCSM players is mostly 9YO kid, you're wrong. It's a game for all audience. I don't care about your ages. If you want to give it a try, to ensure if this game suits you or not, it's not a problem at all. You liked it? go on. You feels that this game doesn't suits you? no problem. And if you hate it, leave the bandwagon peacefully. I don't want to force you to liked this game (recommends and forcing is different thing). Why would I want to upset our little legion who ended up being Telltale's largest source of profit in their dying times? 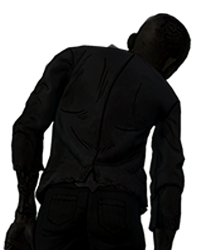 We should be thanking you for carrying Telltale as long as you could. I'm not persecuting you or the rest of the fanbase lol I was hoping the bottom text would clear the air. A lot of you were clearly young when I visited here but still pretty pleasant to talk with, I don't have anything against you guys. If I sound condescending it's because I'm just ribbing ya. 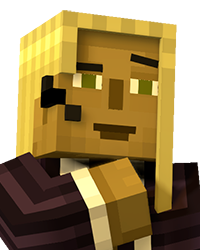 I played Minecraft when it was insanely popular and I did play MCSM and actually enjoyed my time with it. They were decent, that might sound like I'm brushing it off but when you compare that to how something like The Emoji Movie turned out that's all I could ask for. You could tell the team tried and I can respect that. The ghast boss fight in S2 is still one of my favorite Telltale moments, so I do think it has some high points. 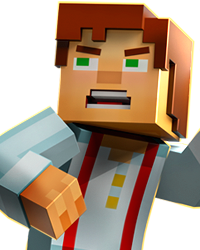 Who wants to join my Christian Minecraft server, (SWEARING NOT ALLOWED! ).